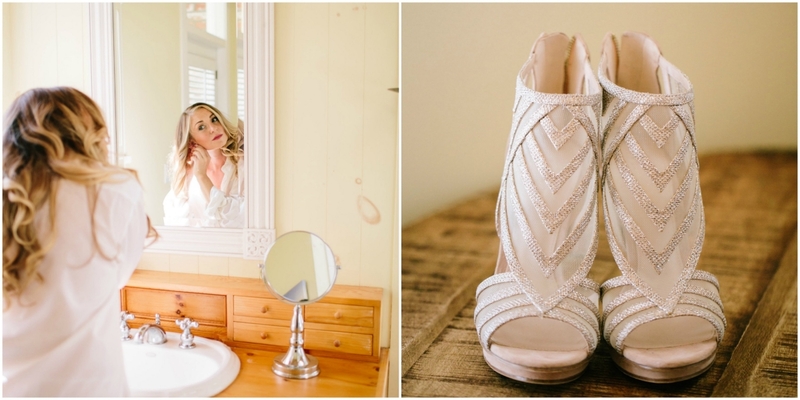 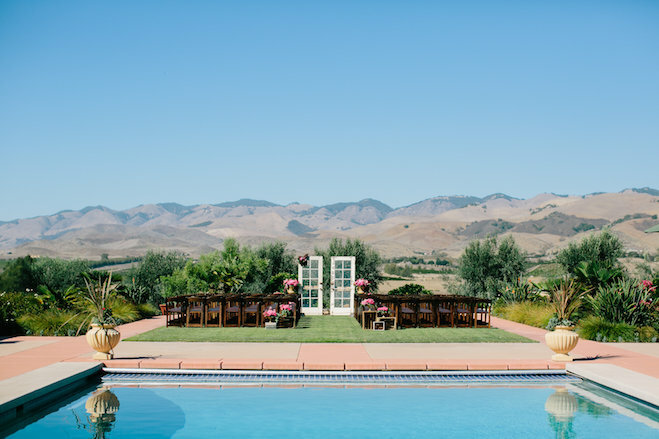 The mountains of Edna Valley served as the stunning backdrop for Jessica and Ryan’s San Luis Obispo wedding. 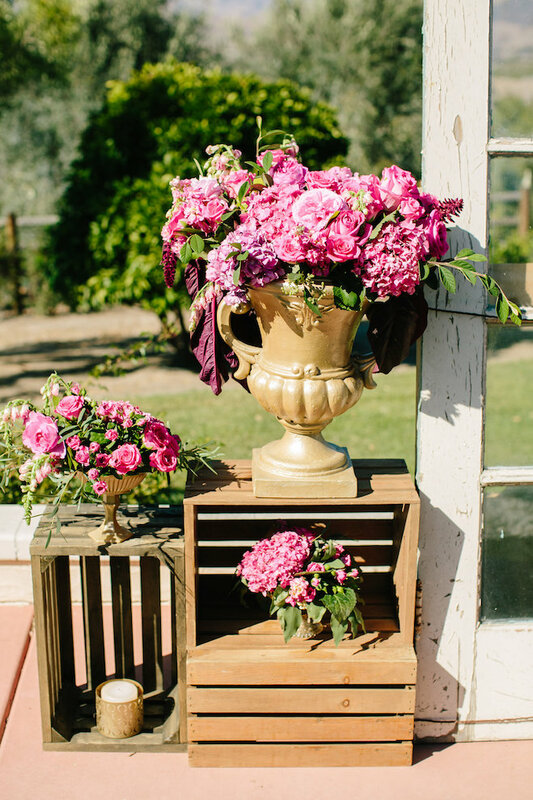 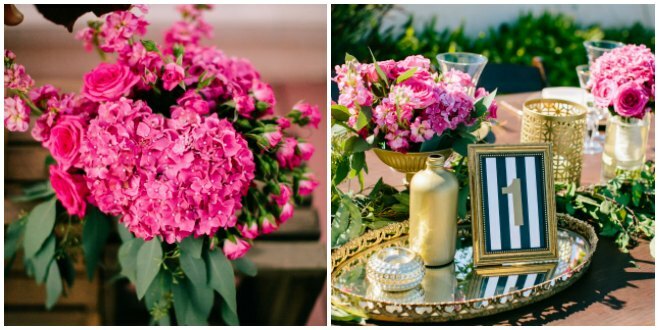 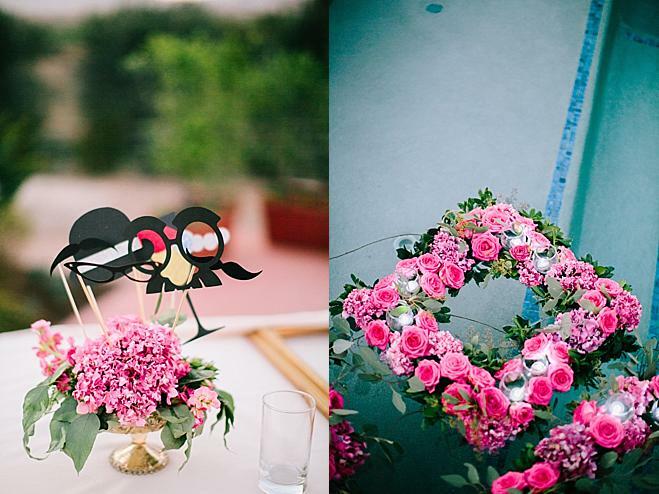 Bold pops of pink, along with sharp touches of gold and black stood out against the private estate’s lush greenery. 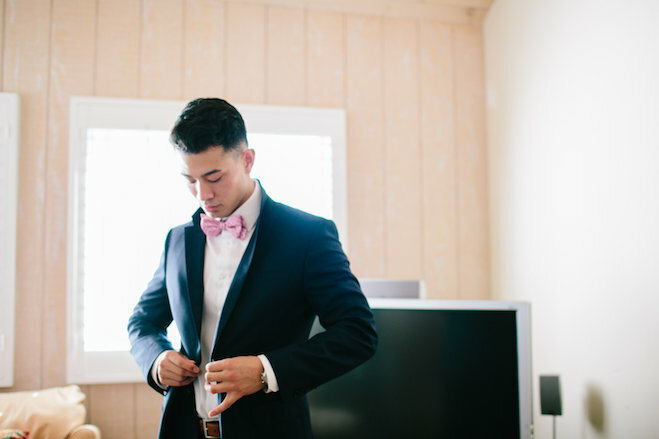 The clear blue water of the nearby lake completed the fresh palette. 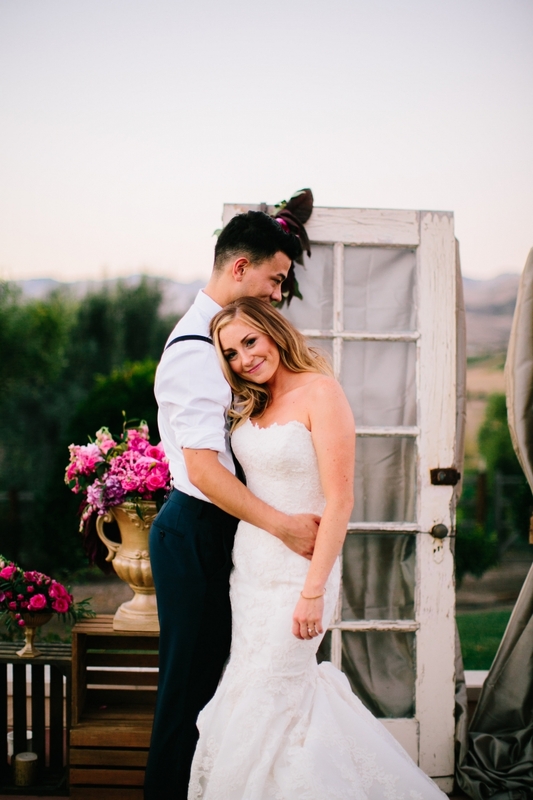 Rustic décor consisting of weathered crates and tables added a certain comfort to the affair, and gorgeous antique doors adorned in flowers served as a unique altar. 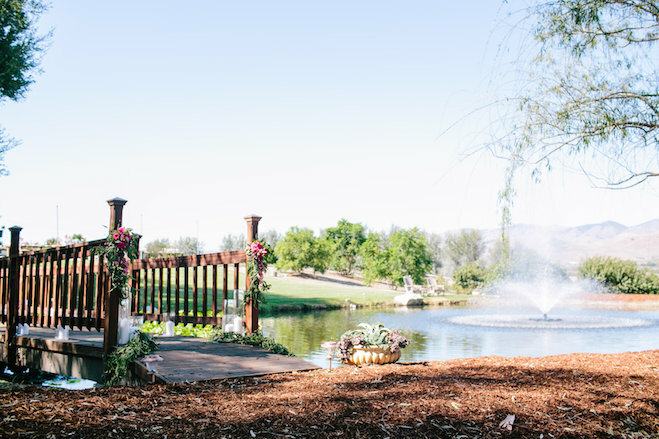 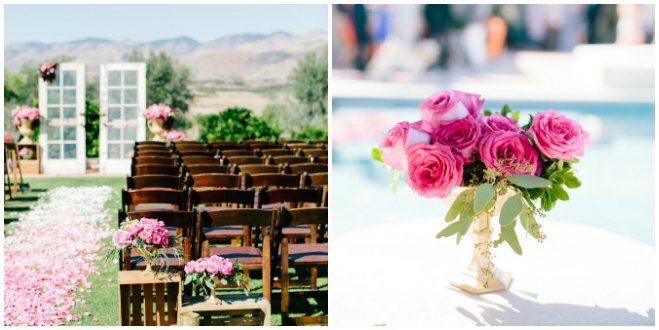 The ceremony took place on the lawn adjacent to the property’s pool, where pink flower petals provided by Lori Boe Floral Design made for a charming aisle. 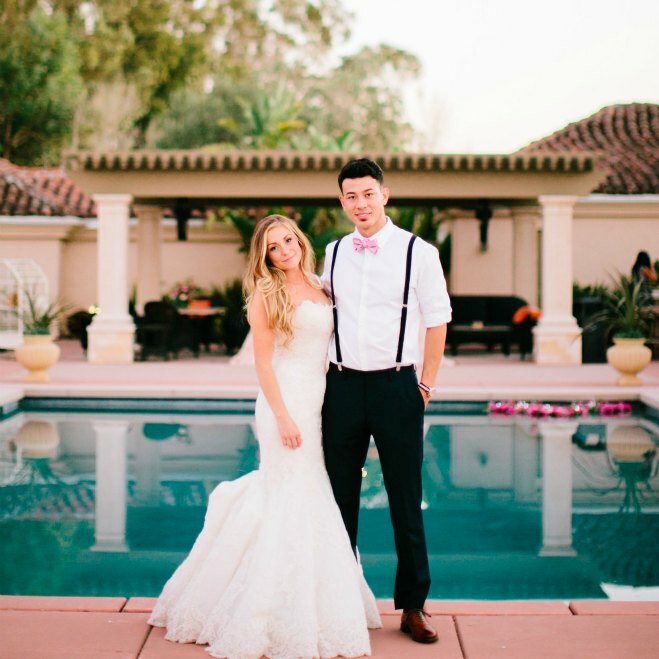 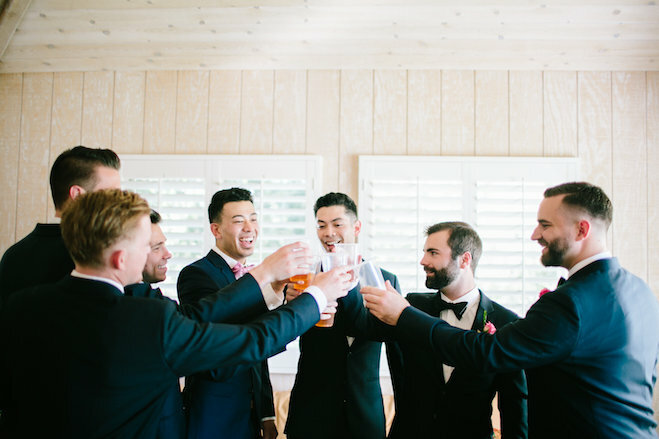 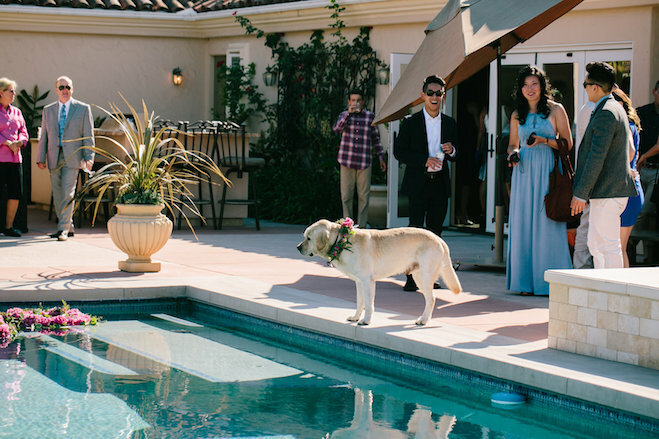 We loved the fact that the bride and groom opted for a casual reception, where rolled sleeves and dogs were welcomed. 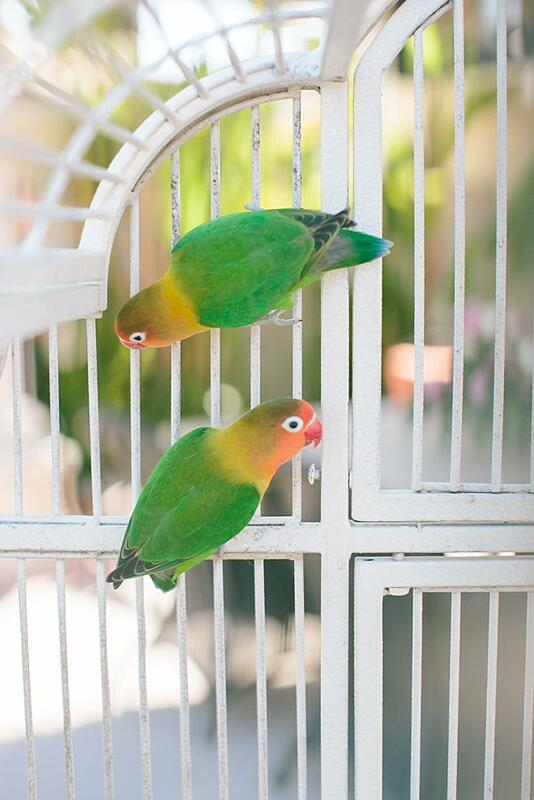 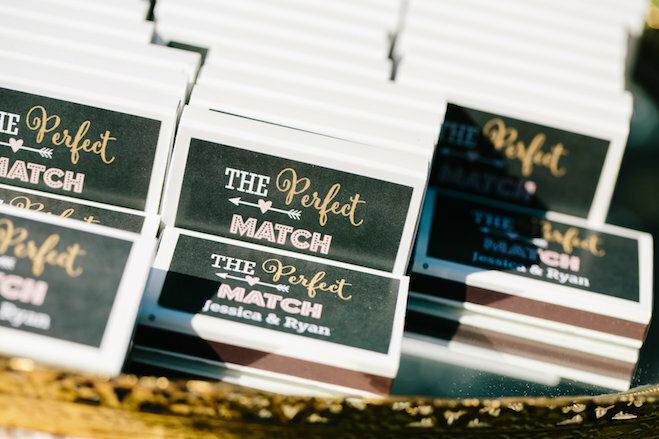 Creative touches perfectly captured the couple’s friendly, laid back personalities, including vibrant green birds, personalized matchboxes and photo booth props. 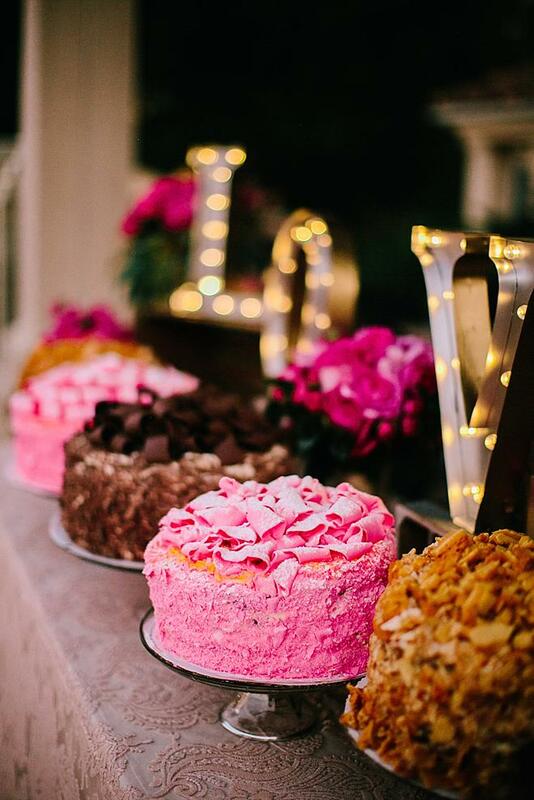 We loved the array of various colored cakes from Madonna Inn, which perfectly matched the décor. 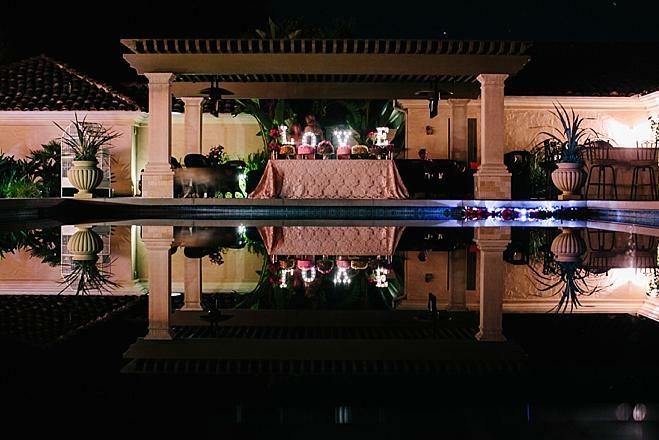 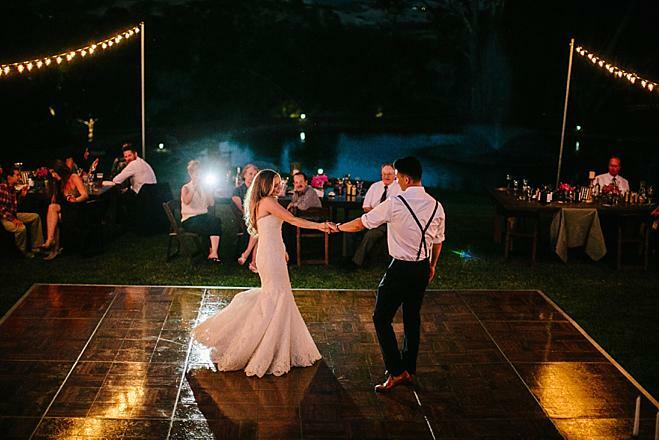 The night lit up with the help of large marquee letters spelling out “LOVE.” Guests danced with music from Kramer Events, and celebrated on the lawn under the glow of white strung lights, the perfect ending to Jessica and Ryan’s big day.